I’ve said this before, and I’m sure I’ll say this again, but it was Lupin III: Castle of Cagliostro that not only made me a fan of Lupin III, but it also planted the seeds that would eventually lead me to becoming the anime and manga fan that I am today. 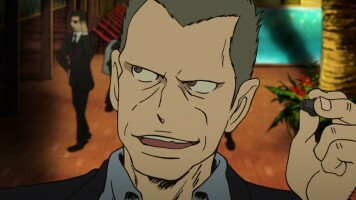 As such, I will always have a huge fondness for the Lupin III franchise. So when a new TV series Lupin the Third Part4 was announced, I was happy for this news, but irritated that it wasn’t out for us to watch legally in the West. Thankfully, halfway through the series’ run, Crunchyroll scored it and I was able to watch it. 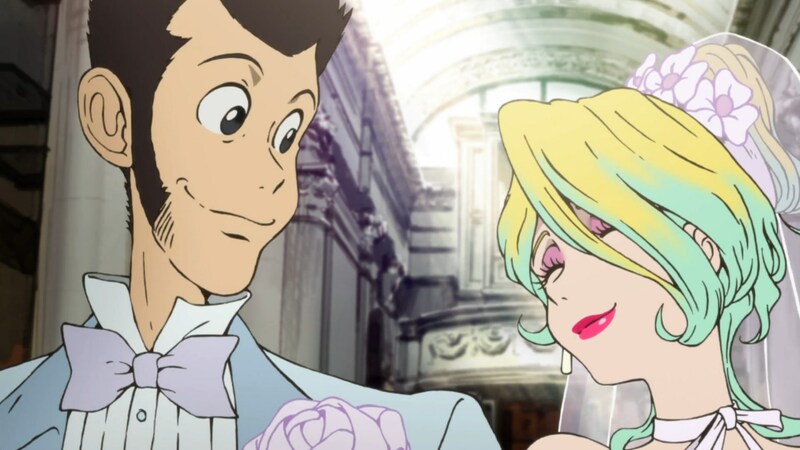 The production team got things off to a bang by having Lupin getting married in order to secure his true thieving objective. 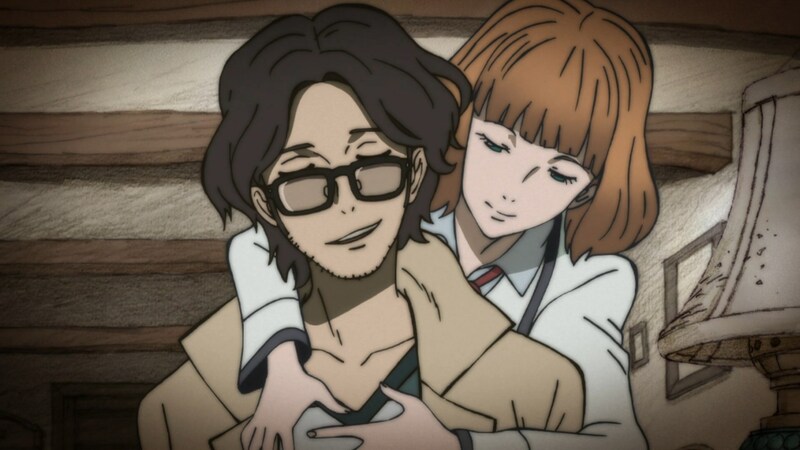 While I obviously never once believed Lupin’s marriage wasn’t anything but a stepping stone to his true objective, I was astonished that the writers kept him married at the end of the first episode. This leads me to Lupin’s bride, Rebecca. As a character, her introduction into the Lupin III franchise is a breath of fresh air. As an Italian, orphaned, ojousama character who’s not only rich, but runs her family’s luxury hotel empire, works as a model, has her own line of clothing and accessories, and even acts, she has everything she could want. Yet the thing that gives her a thrill in life is being a thief, reluctantly aided by her butler Rob. So while Lupin may have been using her in the beginning for his purposes, Rebecca was using him as well. 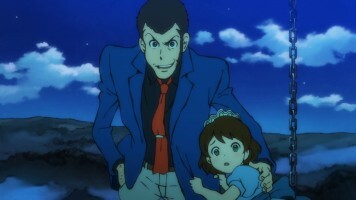 She really stirred up things, primarily with Lupin and Fujiko, creating an interesting love triangle element. Initially, Rebecca may have been interesting in merely proving her own skills against the world’s greatest thief, initially, she came to respect and even fall in love with Lupin. I really enjoyed watching Rebecca grow as a character, and the episodes she had a role in were usually pretty good ones. 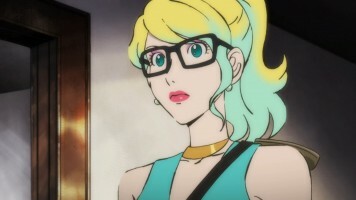 I really hope that Rebecca will return in future Lupin III titles. 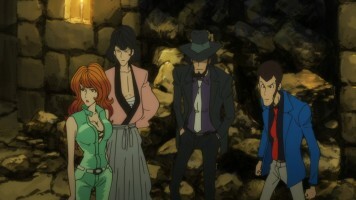 Fujiko has her normal role, though in this series, she leaned more toward Lupin’s lover than not. She still used Lupin quite a lot, yet because of the introduction of Rebecca, we got to see a bit more of Fujiko’s respect and even love for Lupin. 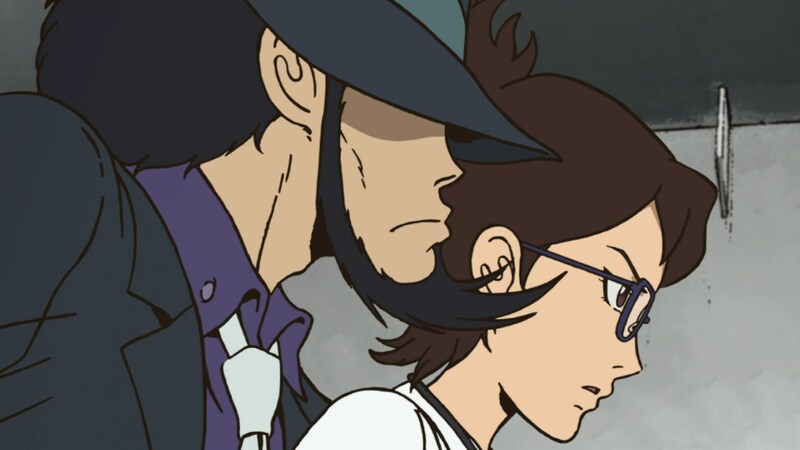 However, thanks to her being older than Rebecca, she understands that her relationship with Lupin lasts only so long as Lupin is chasing her. So she capitalizes on Lupin chasing her, and that’s something she tried to teach Rebecca in her own way. 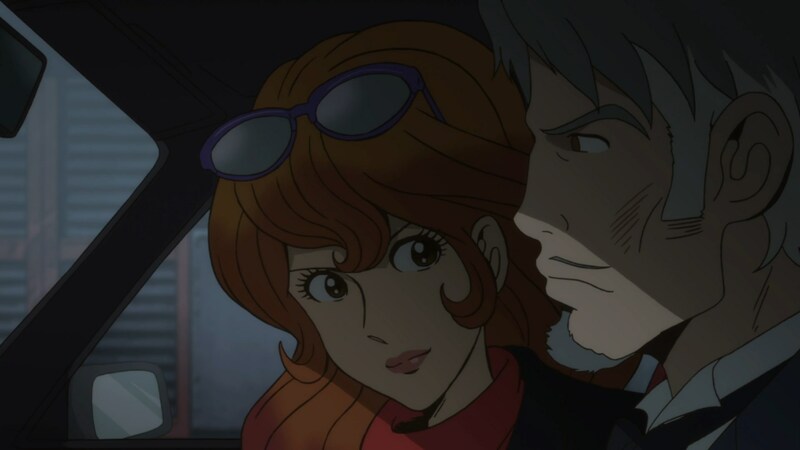 Considering that Rebecca promised Lupin to become the kind of person he’d find worthy of stealing (thus rising to the level of Fujiko), I’d say Fujiko succeeded. 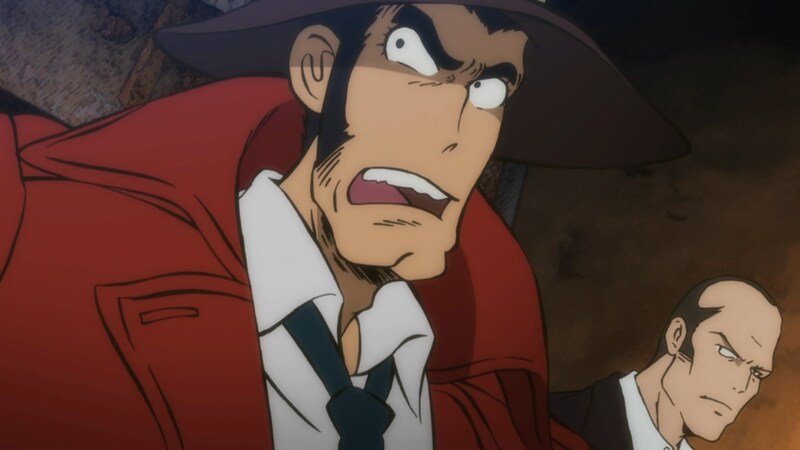 Since I’m talking about characters, I’ll continue through the main cast, starting with Zenigata. Too often, Zenigata is portrayed as a buffoon. There are fans that like that Zenigata, but I’m not one of those. 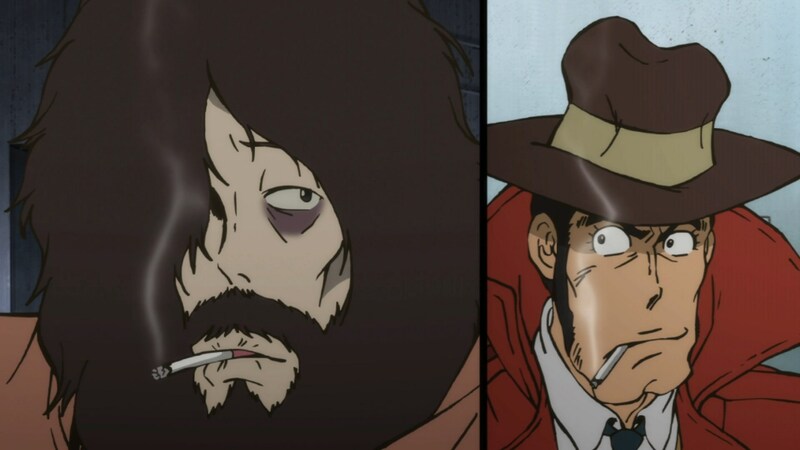 As such, the production team decided on an approach to Zenigata whereby on occasion, he acts buffoonish, but most of the time, he acts competent. He gets to have a moment to shine when he captures Lupin and throw him into prison, which doesn’t give him the thrill it should have. Unfortunately, by the second half of the series, Zenigata doesn’t get a lot to do. Jigen performs his normal role as Lupin’s right hand man. Unfortunately, this means that he doesn’t get much to do and doesn’t get much character development. The production team does give him his own episode where he saves a small village under the thumb of some mafia thugs and has a pseudo romance with the local female doctor, but that’s about his only chance to really shine. Goemon has a similar story, only the production team had even less use for Goemon than Jigen. Well, he is an overpowered character with Zantetsuken, but it is still a shame he doesn’t get more use. However, here too, he gets a a solo story and pseudo romance, only his story is part flashback, part current. In addition to Rebecca, Lupin the Third Part4 introduces another new, reoccurring character named Nyx (or as Crunchyroll’s translation wrongly names him, Nix). His role is greater in the first half of the series as an MI6 special operative in Italy, along with a team of MI6 personnel. He gets some development in that he’s shown to be a family man, but he’s part James Bond, part Steve Austin (Six Million Dollar Man). I was frustrated that we didn’t learn how/why he had his extraordinary abilities, or why he was so dangerous, MI6 would gladly kill him if needed. And in the second half of the series, there’s not much for him to do. 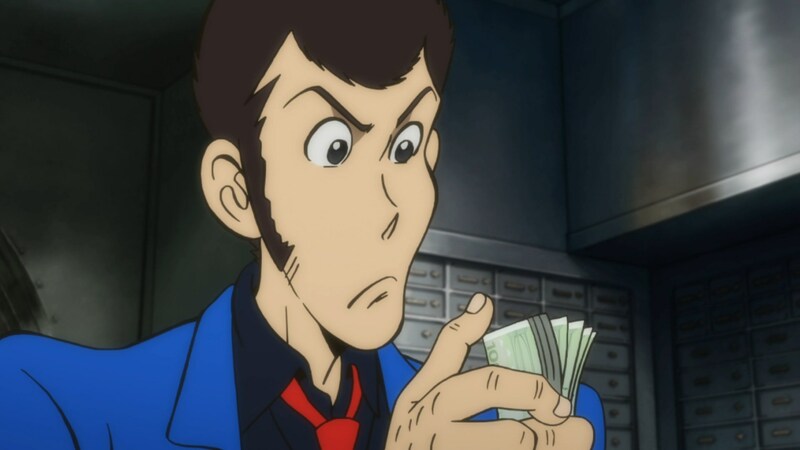 As I’ve eluded to, Lupin the Third Part4 is divided into two seasons. The first season has one story arc based around something called Dream of Italy. 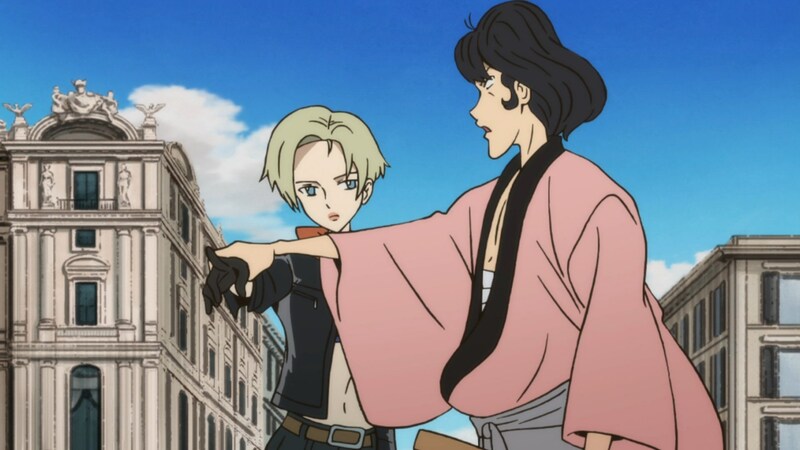 While most of the episodes are stand alone, Rebecca, Nyx, and MI6 are common threads throughout and at times Dream of Italy is mentioned until it is resolved at the end of the season. 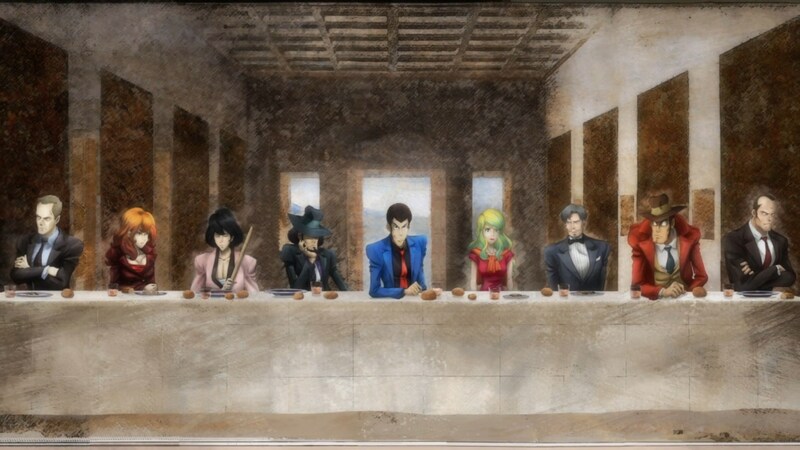 The stories in the first season felt a lot tighter to me (and on a humor level, had funnier moments such as when Rebecca and Fujiko are all over Lupin) and the arc, though surreal in the end, was a better one. 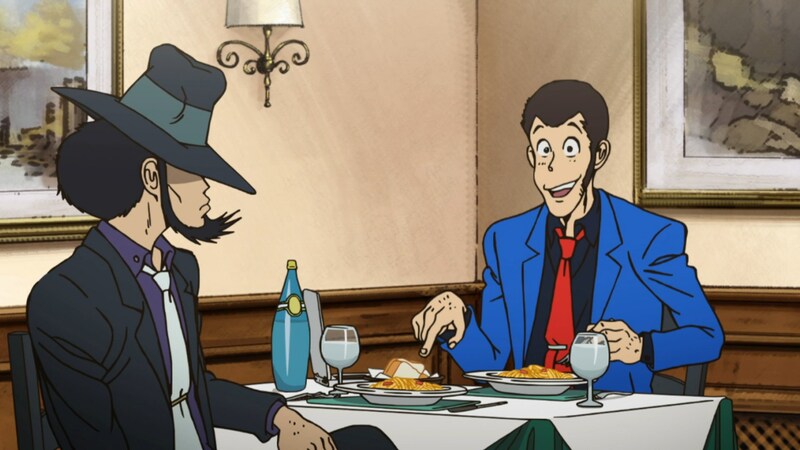 Plus, the first season had one of the most emotional episodes ever seen in a Lupin III title which really helped highlight the kind of person Lupin is at heart. The second season uses the elements from the Dream of Italy arc to go into a new arc. Unfortunately, the stories in the second season aren’t as tightly written as the first season’s stories. The second season arc is fairly poorly developed in my opinion. It has an interesting concept in bringing back a figure from history and an interesting twist in making this character the villain, but the production team just didn’t do a good job with it in my opinion. In order to pull this off properly, more episodes should have been dedicated to the plot of the arc rather than using so many so-so stand alone episodes. I liked how the series had several nods to previous Lupin III titles. This was mostly evident in the first season as there were a number of nods to Lupin III: Castle of Cagliostro. These were a nice touch. Finally, there’s the issue of Crunchyroll’s translations. While it isn’t surprising that the few Japanese honorifics aren’t used (even though they are in Italy for all but one episode, Lupin would call Fujiko “Fujiko-chan” no matter where he was at), that isn’t my complaint. It is that this series reveals the flaw in the simulcast nature of Crunchyroll. As such, the translator apparently only gets an episode script. This resulted in some incorrect translations, most notably with the character URAGA Kou. The kanji for Kou’s name can be read as Wataru, so that’s what the translator used. I found this most irritating, though one can’t blame the translator for not knowing the proper name. Basically, the translators should be able to watch the episode (which may not be possible), or at the very least, be able to hear the audio track. The only other solution is to make sure the scripts use proper furigana (this is where kanji characters have hiragana or katakana to denote how the kanji should be pronounced since kanji can have multiple pronunciations). 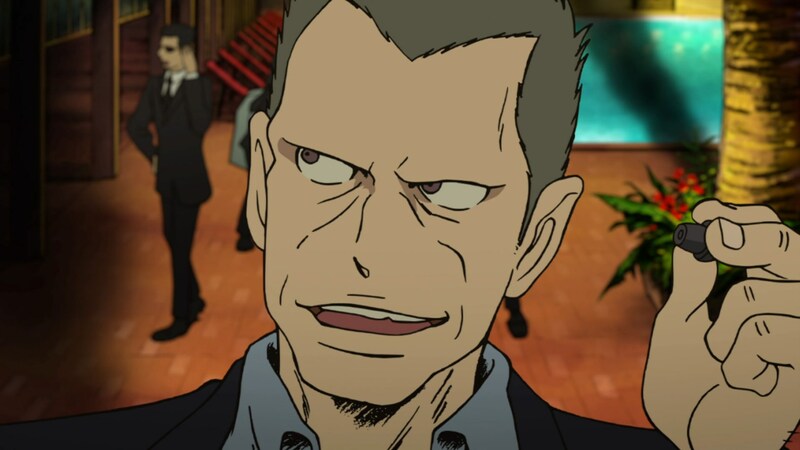 Despite these problems, in the end, I found Lupin the Third Part4 (2015) to be a very enjoyable Lupin III title. The inclusion of Rebecca as a recurring character was a very positive element to the series, and the use of story arcs was a good thing. 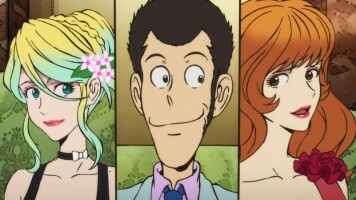 I hope we get more of these kind of Lupin III TV series, complete with Rebecca.